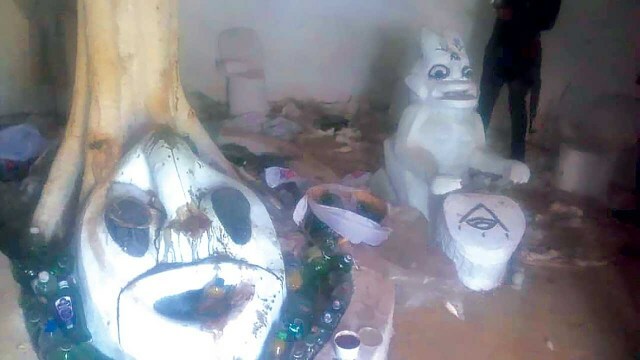 The Ekiti State Police Command on Thursday discovered a ritualist shrine in Odo, a suburb in Ado Ekiti, the state capital. 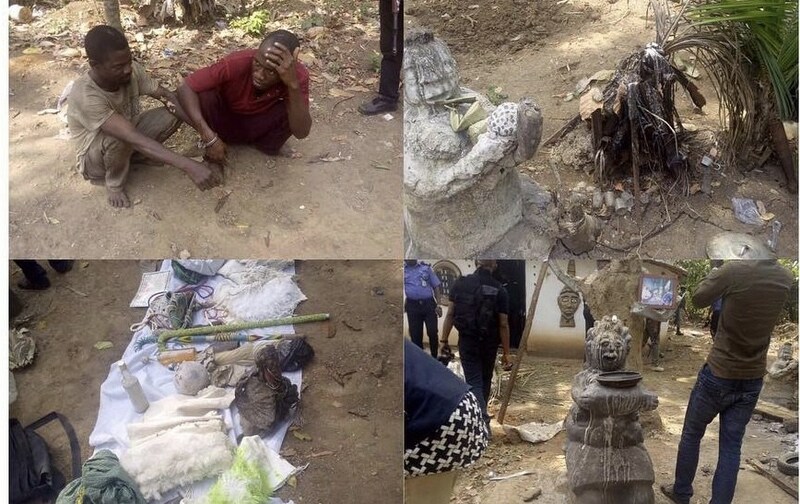 The ritualist shrine located around Crown Polytechnic area, was uncovered by a team of Policemen led by the Commissioner, Asuquo Amba. The shrine was fully decorated with several statues, fake foreign currencies and fetish objects. “We acted on a reliable tip-off which led to the arrest of two suspected ritualists. He added that a community leader has been invited to assist them in their investigation.